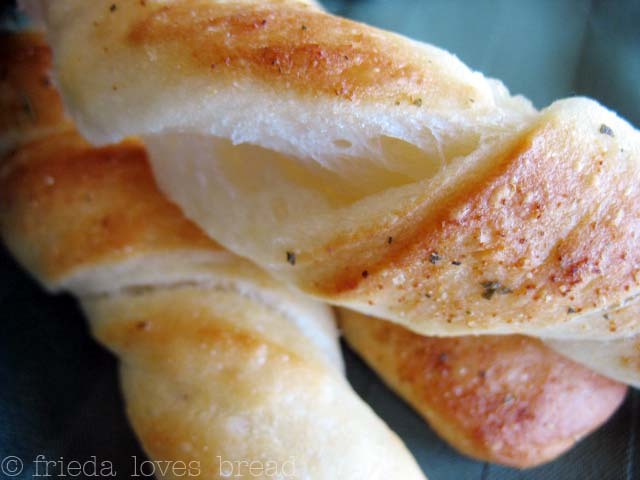 Frieda Loves Bread: Got Dinner Roll Dough? Shape It, Top it, Bake It! 0 Got Dinner Roll Dough? Shape It, Top it, Bake It! 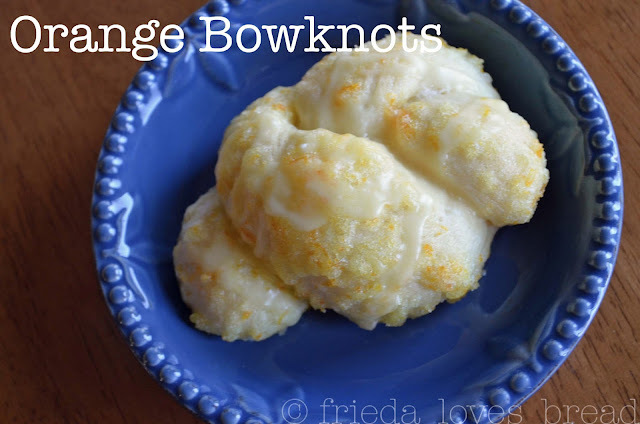 I love my dinner roll recipe. 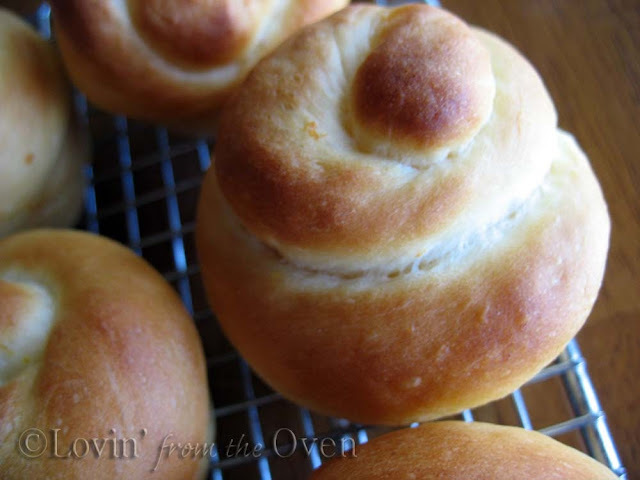 I have tried MANY dinner roll recipes and this is my "keeper" recipe. 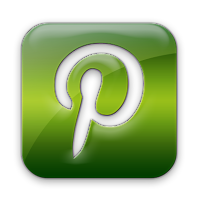 I love that it is soft and light, but sturdy enough to mop up Thanksgiving gravy. I love that it is slightly sweet, but not overpoweringly sweet for use in other recipes. 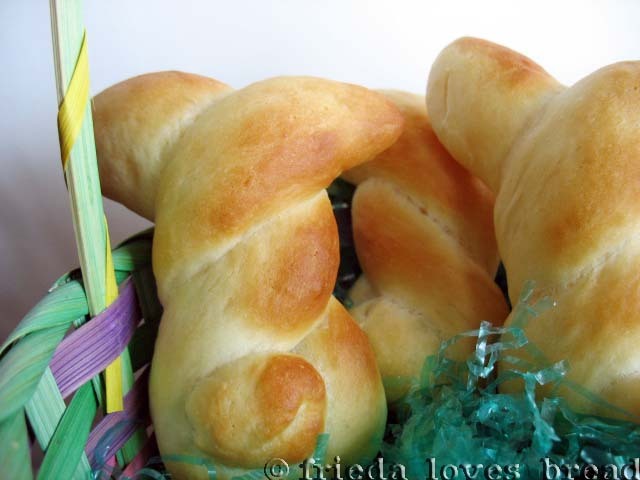 I love that this dough is easy to work with and make many different shapes for special occasions and holidays. Most of all, I love that I know what goes in it; fresh milk, butter & eggs. 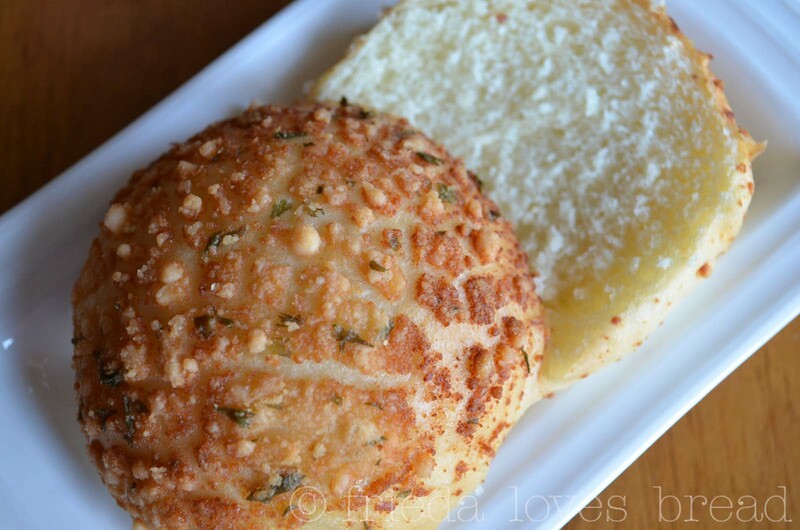 These are the ingredients that give this dinner roll it's flavor, lightness, and tender crumb. 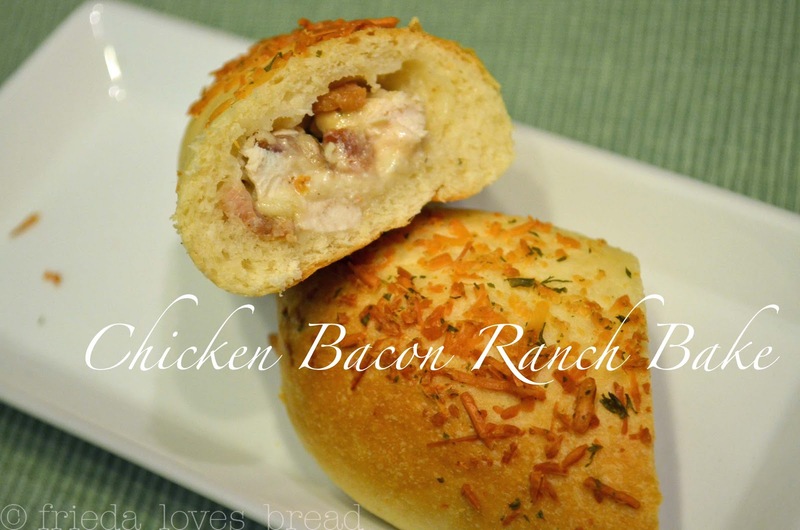 I like that I can make this recipe and have hot dinner rolls in about 2-2 1/2 hours. I'm grateful for the high elevation that I live in to help my bread rise quickly! 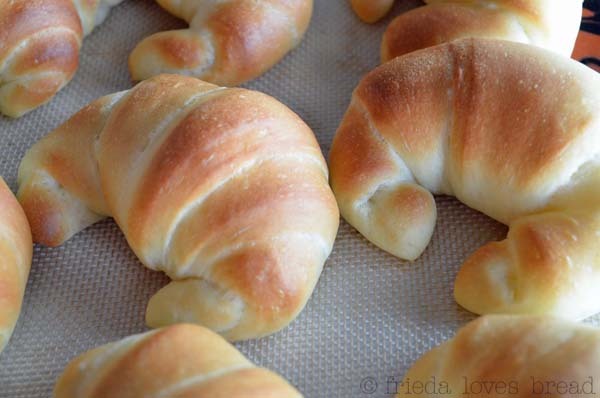 Why buy the store-bought frozen dough when you can freeze your own? 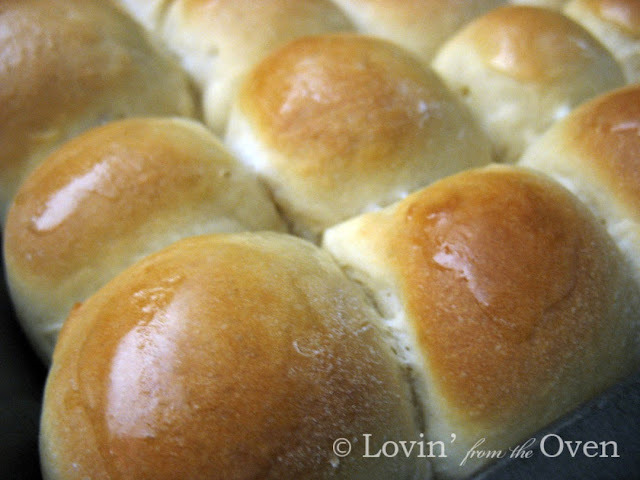 You can wait up to 3-5 hours to thaw out your rolls or you can make 'em fresh in about 2 1/2 hours..
Any way you make them, these rolls will be sure to please your family and friends!